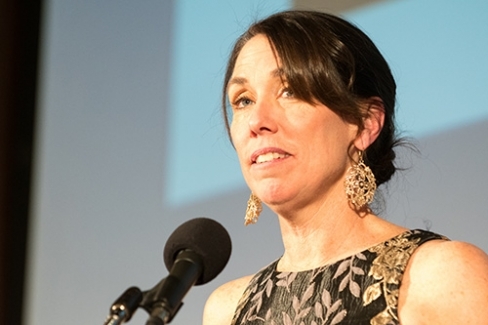 The 2019 National Press Club Officers and Board of Governors. Row 1:  Vice President Mike Freedman, President Alison Fitzgerald. 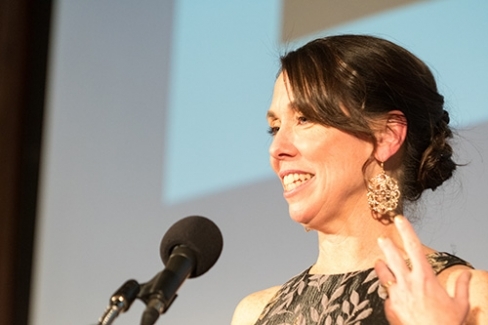 Row 2:  Lindsay Law Murphy, Communicator Board Member; Danny Selnick, Communicator Board Member; Jen Judson, Board Chair. 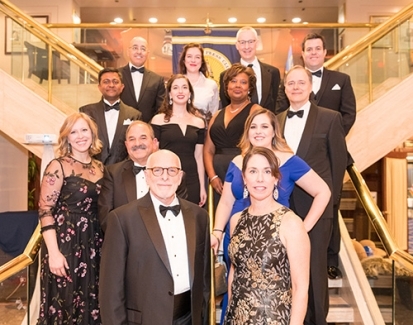 Row 3: Ferdous “Danny" Al-Faruque, Governor; Emily Wilkins, Governor; Lisa Matthews, Governor; Peter Urban, Treasurer; Row 4: Fouad Arif, Secretary; Andrea Edney, Ex Post Officio; Andy Fisher, Communicator Board Member; Del Wilber, Governor. 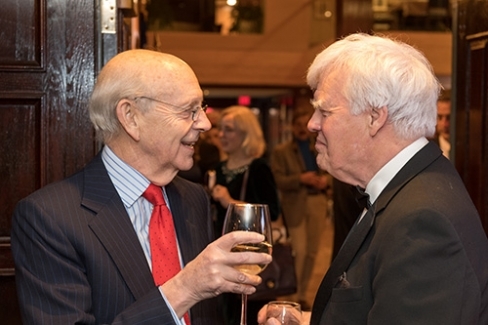 United States Supreme Court Justice Stephen Breyer and "Chief Old Guy" Al Hunt, formerly of the Washington Post and Bloomberg, share conversation before the inauguration of NPR's Alison Fitzgerald Kodjak as the 112th President of The National Press Club, Saturday, January 12, 2019. 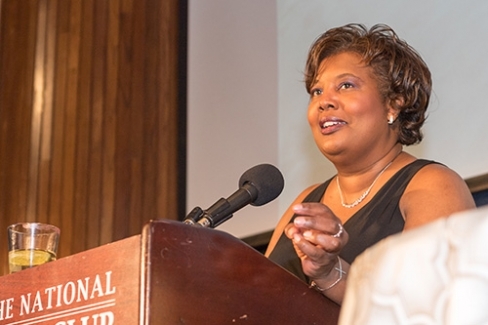 Lisa Matthews of The Associated Press and NPC board member, emcees the inauguration of NPR's Alison Fitzgerald Kodjak as the 112th President of The National Press Club, Saturday, January 12, 2019. 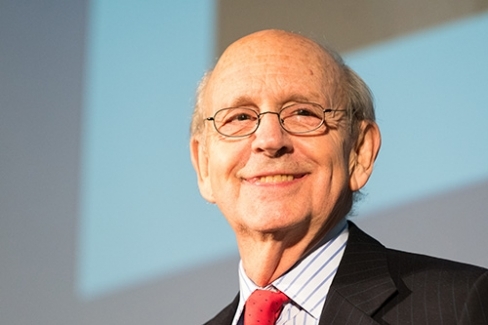 United States Supreme Court Justice Stephen Breyer speaks at the inauguration of NPR's Alison Fitzgerald Kodjak as the 112th President of The National Press Club, Saturday, January 12, 2019. 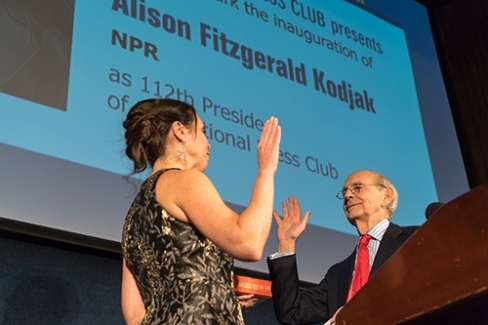 United States Supreme Court Justice Stephen Breyer inaugurates NPR's Alison Fitzgerald Kodjak as the 112th President of The National Press Club, Saturday, January 12, 2019. 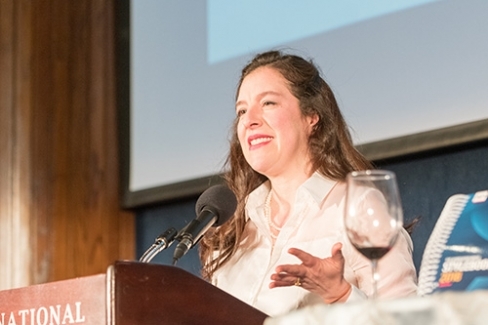 Past NPC president Andrea Snyder Edney speaks at the inauguration of NPR's Alison Fitzgerald Kodjak as the 112th President of The National Press Club, Saturday, January 12, 2019. 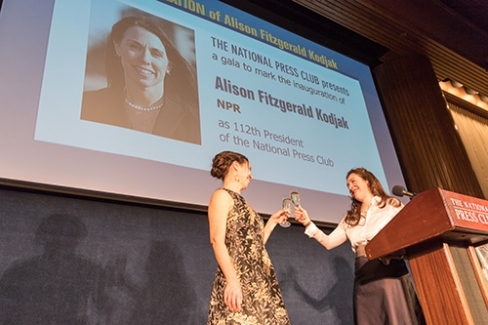 113th NPC president Andrea Snyder Edney (right) toasts NPR's Alison Fitzgerald Kodjak as the 112th President of The National Press Club, Saturday, January 12, 2019. 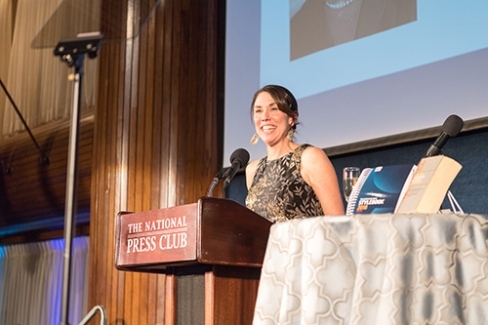 NPR's Alison Fitzgerald Kodjak, 112th President of The National Press Club, speaks at her inauguration on Saturday, January 12, 2019.